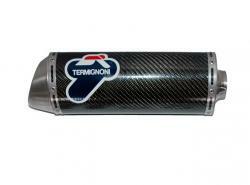 Available in racing or homologated versions, Termignoni exhausts for Suzuki are made of Carbon and Stainless steel. 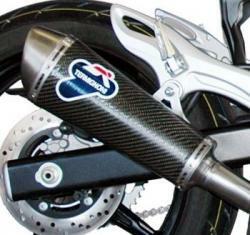 Better performance, more agility and longer durability. Thanks to our R&D Department, we select the best materials to optimise the weight of the exhaust and ensure maximum lightness and strength. 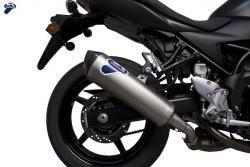 The various exhaust lines are designed to obtain the ideal aerodynamic solutions for the characteristics of each model of motorcycle. 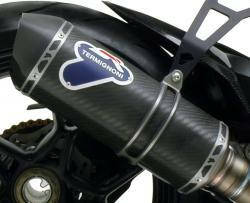 The Relevance design or GP Style and the carbon look, enhance aesthetics and give the exhaust its racing character. 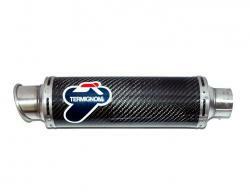 Choose the Termignoni exhaust for your Suzuki motorcycle.